Wonderful experience, I have been interested in Maserati for quite some time. I had been turned off to looking because of some of the dealers I had inquired at were less than inviting. Today I stopped by Morrie's Maserati and was greeted by Seth, very welcoming, informative and relaxed. Seth allowed me to research my choices without excessive pressure all the while making sure I had an extremely enjoyable experience. I will definitely be working with Seth in the future. Top notch service, beautiful facility, friendly people, amazing showroom. I purchased my Quattraportte out of my lease and Morrie’s made the experience seemless. Seth Noel was awesome. Nick and his team went above and beyond to get me in my New car. Super friendly staff. Once I got approved the sales manager welcomed me to there family. Morrie's has earned a customer for life. 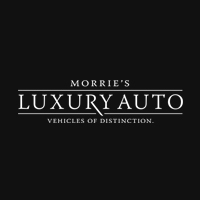 I have purchased 2 Maseratis from Morries Lux Auto. They blew me away with their amazing sales team who made me feel comfortable and relaxed. Absolutely no pressure. They look out for the client first. They give the best prices for trade ins. I will always go to this dealership. It’s truly 5+Star. Angel is an amazing GM as well as the sales team. Service team is also the best. I’m looking forward to my next transaction with them. Shout out to Erin.